Greenhouses For Sale | Green House Kits | Free Shipping! 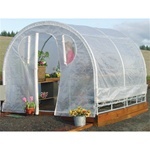 Greenhouses for sale from Home Products n More! 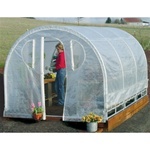 We have various greenhouses for sale in many sizes, styles, and prices to choose from! We offer large outdoor green houses that you can build yourself in a day. 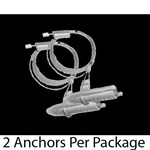 We also sell smaller outdoor portable green house kits that can also be moved around as needed. If you are someone who has very little outdoor space, please see our category of indoor tabletop green houses and other small indoor greenhouse kits. 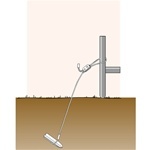 Get free shipping on all gardening products from Home Products 'n' More! Some tips to help you get started growing your own plants from seed... Purchase your seeds from a reputable source. If it's important to you to grow organic foods, then you'll want to be sure you buy fruit and vegetable seeds that are clearly labeled as organic. Be sure you read the seed packet carefully. The back of the packet will contain important information such as planting instructions, whether to sow indoors or outdoors, when to plant, and how much light and moisture to provide the seedlings. Following these instructions is very important if you want to get good results with your plantings! Some other reasons to start your own seedlings include cost savings and because you'll know which, if any chemicals, compounds, nutrients or fertilizers have been used on the plants.